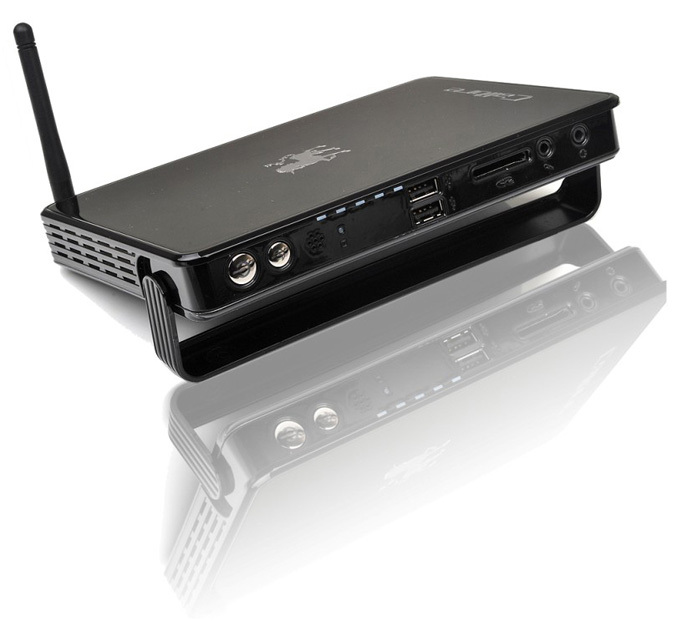 SPARKLE Computer Co., Ltd., the professional VGA card manufacturer and supplier, proudly announced the Calibre CUTi, a revolutionary small form factor PC providing high definition 1080p playback and digital surround sound for a variety of multimedia formats displayed right on a user’s HDTV. 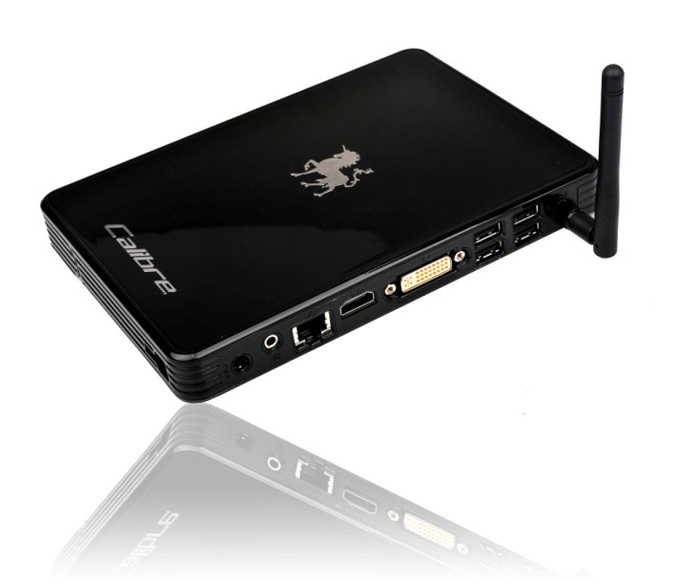 Calibre CUTi push the envelope on thin and light design as one of the world’s thinnest PC while extending the entertainment experience with support for HD video. In addition, the Calibre CUTi has excellent energy-saving features, idle power consumption is only 14 watts, lesser than an energy-saving lamp power consumption. The world of desktops has now also taken a step up with the introduction of the Calibre CUTi. It’s a computer of reduced dimensions and at a lower cost than traditional PCs which are ideal for satisfying all basic requirements of surfing the Internet, downloading and watching rich content, playing videos and games , running typical office programs or communicating with VOIP using the optional webcam. The Calibre CUTi is introduced to meet the pursuit for micro-volume, low-cost energy-saving computers from consumer. This revolutionary PC product provides an impressive all-round performance to users around the world. participating in online education.The graphics performance of built-in highly integrated 9400 graphics chip is 10 times powerful than the graphics performance of other small desktop. The Calibre CUTi can bring surprising gaming experience and high-definition video experience, so it is an indispensable component of modern family. While maintaining the thin fashion style, the Calibre CUTi provides full-featured applications. The Calibre CUTi offers a broad range of audio and video output interface to meet the connection requirements of various types of devices. With the compact design, the Calibre CUTi ‘s working noise is only 26 dB so that it could run virtually anywhere in the home/office environment. With the book-oriented body, the Calibre CUTi releases the desktop space, so that the business office is more casual and elegant. The Calibre CUTi is deigned to impress consumers. It provide seamless balance of style and multi-functions. From the slim out frame to the innovative Ion platform technology, the Calibre CUTi changes the way people look at the desktop PCs. The Calibre CUTi packs the Intel Atom Dual-Core 1.6GHz processor and the NVIDIA Ion platform to offer low power consumption and a graphics capability on a par with your average multimedia PC. The built-in ION 9400 GPU is completely capable of handling 1080p (and thus, Blu-ray) content, DirectX 10 and even mildly demanding games such as Call of Duty 4 and Spore. Inheriting the elegant and high-quality blood of Calibre , characterized by slim design and reduced dimensions (only 0.6 liter,1/5 the size of the smallest desktop computer), the Calibre CUTi has a special mounting system, so that it could stand on any work surface vertically, or hung on the back of HDTV / LCD monitor to provide users with full all-in-one function, saving work and entertainment space. Like this,the Calibre CUTi can find enough space for any room, from the office to the kitchen to the bedroom or the lounge, without any problem. With the low power Intel Atom Dual-Core processor, NVIDIA ION platform and the unique Calibre quiet technology, the full loading working noise of the Calibre CUTi is only 26 dB, the idle standby noise is incredible down to 3 dB. Now users can be completely away from the noise pollution and embrace a quiet space, doing office works as whishes. With the Calibre CUTi, now consumers can do green and quiet computing, It introduces a well-featured hardware design with eco-friendly components for ensuring lower voltage computing. The idle power consumption of the the Calibre CUTi is only 14W, less than an energy-saving light bulb. The maximum power consumption is only 30W, compared with traditional PC, it saves nearly 90% power !Based on the emission of 0.99KG of carbon dioxide per kilowatt in Chinese power plant, one year’s use of CUTi will reduce nearly 0.8 tons of greenhouse gas emissions for the earth. 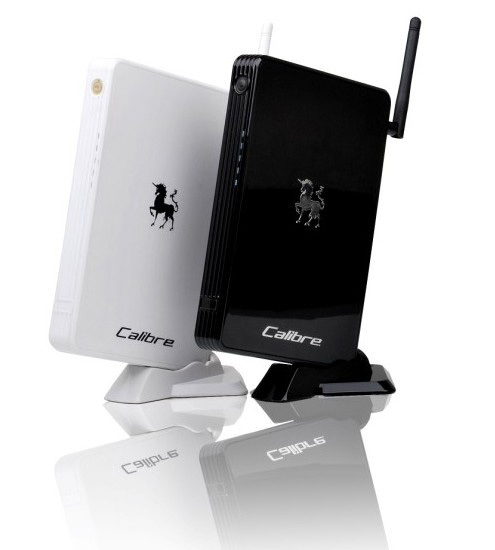 The Calibre CUTi supports multiple interfaces and connections, so it can easily connect to various devices. Its HDMI and S/PDIF output ports ensure the full HD 1080p home entertainment with 7.1-channel surround sound. 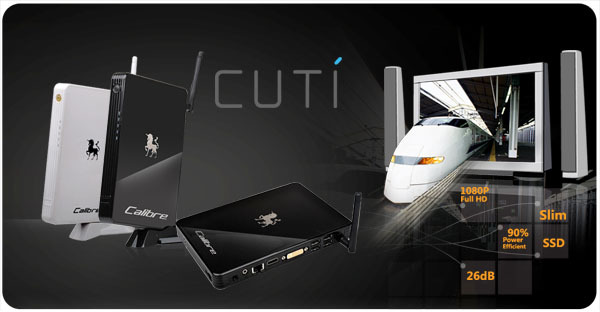 With built-in 802.11n wireless LAN and Ethernet interface, the Calibre CUTi allows you to connect to a home network. The additional I/O ports of the Calibre CUTi include: mini-audio jack, coaxial & optical fiber output, 5in1 card reader, Bluetooth(Optional), DVI-I, headphones, Microphone and 6 USB ports. The Calibre CUTi comes with built-in 160G/320G SATA hard drive (Maximum Support 500GB), and supports for SSD solid-state hard drive. 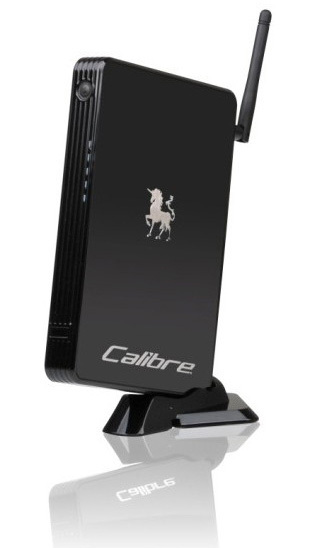 the Calibre CUTi supports up to 4GB DDR2 memory that allows quick performance without problems in all the most widely-used range of applications. An 5 in1 card reader offers the convenient way to transfer continuously growing multimedia files from portable devices to the Calibre CUTi. *The Calibre CUTi is available in a variety of configurations. Made in the SPARKLE own factories, SPARKLE also provides customized configuration service, making the Calibre CUTi more flexible to customers.